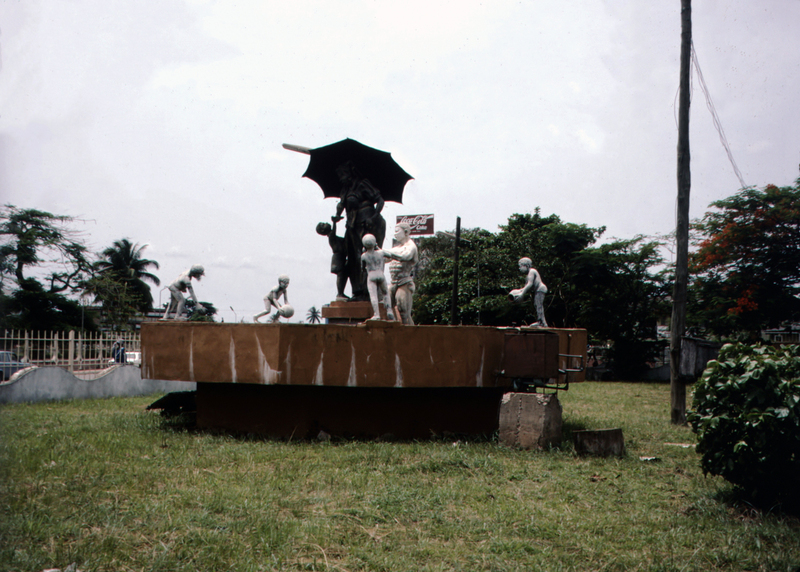 Part of the former Bendel Arts Council beautification initiative, this statue was created in 1990 by Bello Kuranga. Commissioned by Chiief John Odigie-Oyegun, it depicts a naturalistic mother clutching several children under an open umbrella. It stands on a circular support, with figures of naked children holding containers around its edge.